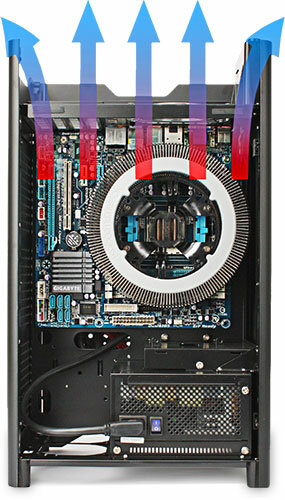 This unique PC chassis is primarily made of aluminium for thermal conductivity, and with generous ventilation which promotes natural convection cooling. The FT03 case offers a new dimension in computing and takes the idea to the next stage with its stunning design and expandability. The FT03 is the latest offering from SilverStone and it offers a beautifully finished, 2.5mm thick, finely sand-blasted and anodised aluminium outer shell. The interior of the chassis utilises a convection effect cooling layout so that a MicroATX motherboard can be mounted vertically as in a traditional tower case, enabling a fanless CPU cooler to take advantage of natural convection to vent warm air out of the top of the case. This design also enables the FT03 to support graphics cards that are as long as 300mm without the chassis taking up similar room depth-wise. 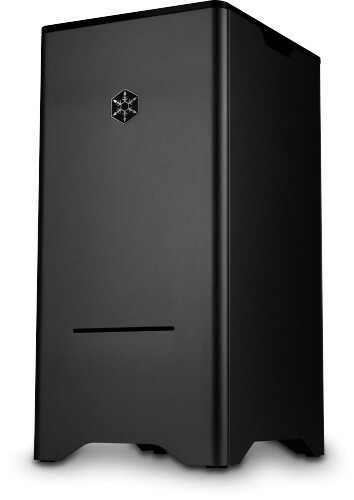 In addition, the chassis also supports three 3.5" hard drives with one capable of hot-swapping function and one 2.5" drive bay for excellent storage flexibility. For a chassis that may define a new design direction for PCs, the SilverStone FT03 is perfect for anyone looking to build a striking yet fully functional and quiet system. It may be of special interest to professionals such as musicians, graphic designers, university scientists and programmers for whom a quiet working environment is essential. 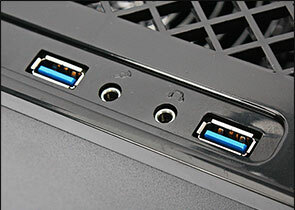 The FT03 also offers room behind the motherboard tray for mounting two 3.5" drives and one 2.5" drive or SSD. 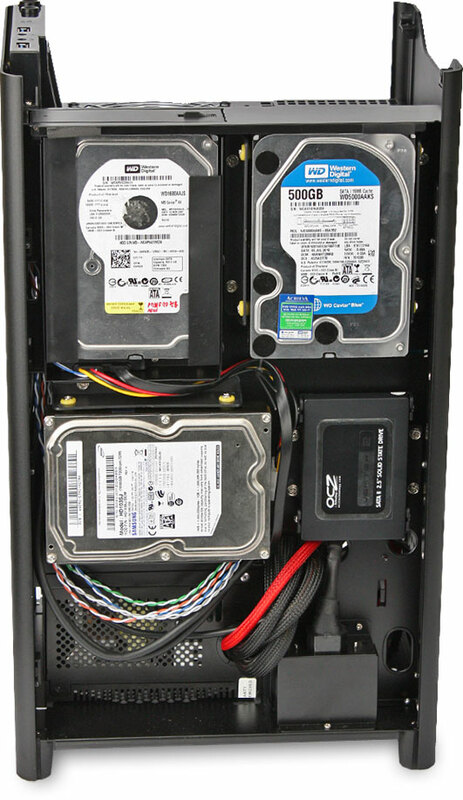 With the use of an appropriate 2.5" to 3.5" adapter like the Scythe Twin Mounter, additional SSDs can be mounted two at a time in each of the 3.5" drive bays (excluding the hot-swap drive bay), massively increasing the storage options. When drives are installed behind the motherboard, they are so close to the aluminium side panel that passive heat conduction does occur to help reduce drive temperature. For a hard drive installed in the hot-swappable bay, an aluminium block pre-attached to the side panel will also help to conduct heat away from the drive. 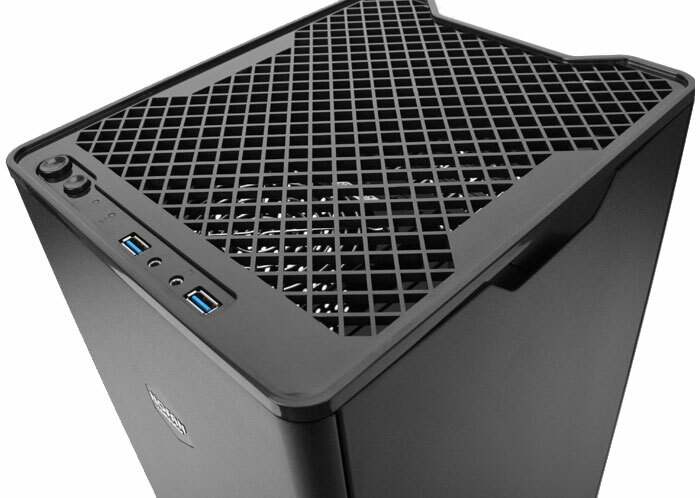 The top panel on the FT03 is very well ventilated so regardless of the cooling system in use within the case, the warm air can always rise and quickly exit the case vertically. 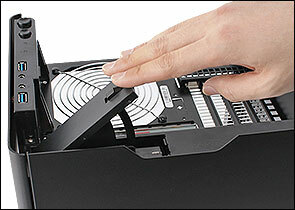 This is particularly important if you are building a fanless system into the case. 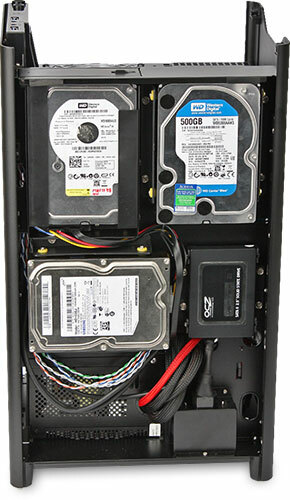 Also featured just below the top panel is an additional 3.5 hot-swap drive bay which is ideal for performing a quick data backup and then easy removal of the drive for storage in a safe place away from the main system. 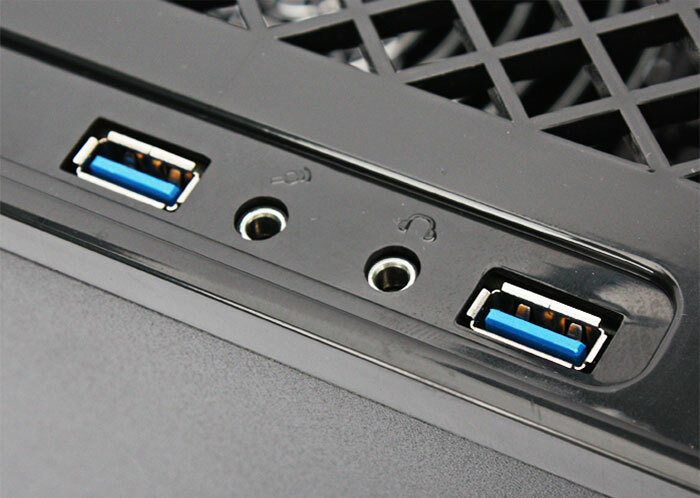 Like any modern case, the FT03 sports two high speed USB 3.0 ports on the front panel, (internal motherboard cable supplied), along with audio jacks, power and reset buttons. 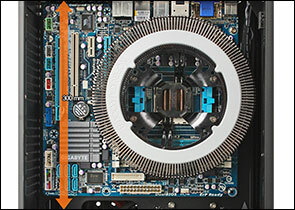 Long PCI Express expansion cards are also supported up to 300mm in length. 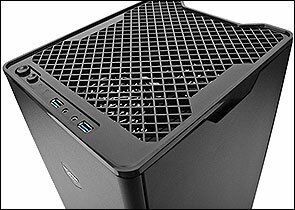 The front loading optical drive slot offers a perfect way to install an optical drive into the case without the need for an unsightly 5.25" drive to spoil the sleek, elegant front of the case. If you are looking for more than just a quiet PC, the FT03 provides beautiful yet elegant design and style that won't look out of place anywhere from a living room to design studio.